Condition: Good, general age-related toning. Red lines, slightly affecting image. Text on verso. Please study image carefully. Overall size: 20.5 x 34 cm. Image size: 16.5 x 14 cm. 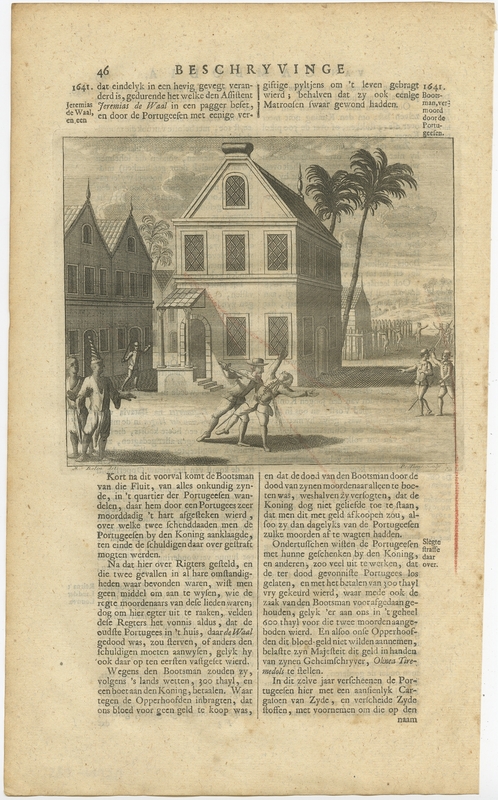 Description: Antique print titled 'Bootsman vermoord door de Portugeesen'. 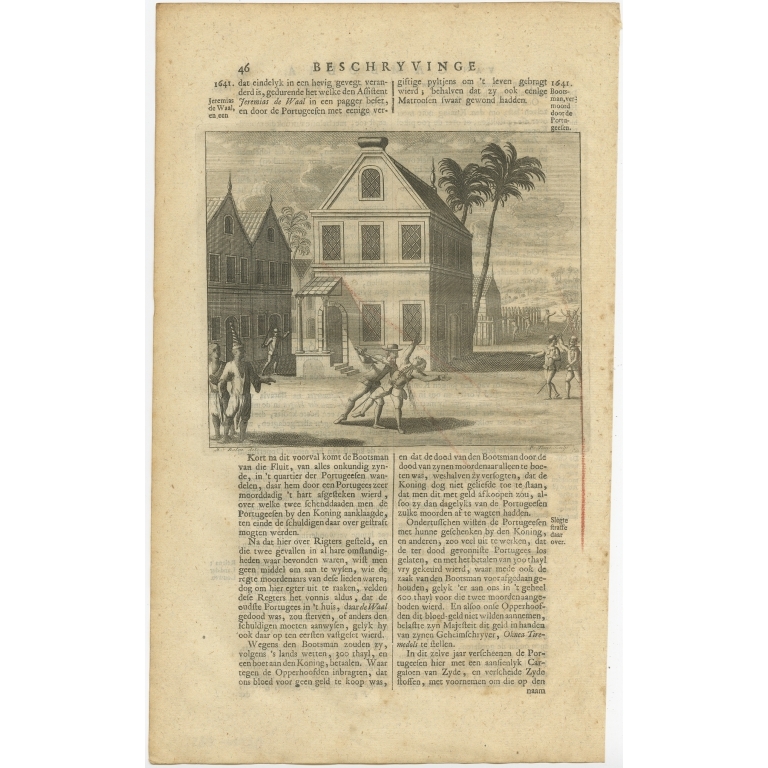 This print depicts a boatswain murdered by the Portugese in Cambodia. This print originates from 'Oud en Nieuw Oost-Indiën' by F. Valentijn. Artists and Engravers: François Valentijn (1666-1727), a missionary, worked at Amboina from 1684 to 1694 and 1705 to 1713 and travelled extensively in the VOC's lands.